Are you in the market for a new laptop but unsure which model to choose? We have been receiving some amazing feedback from our customers who have recently purchased the updated 12” MacBook from Apple. There is no denying the premium feel and design of the 12” MacBook and, although extremely lightweight, it is in no way flimsy. The stylish and streamlined chassis feels up to the challenge of everyday usage, and with four attractive colour options, the sleek aluminium case can exactly match your Apple iPhone and accessories. This little beauty is perfect if you’re looking for something lightweight and portable that still packs incredible tech specs. The 12” MacBook launched two years ago but has since had an update to make it more powerful than its predecessors. 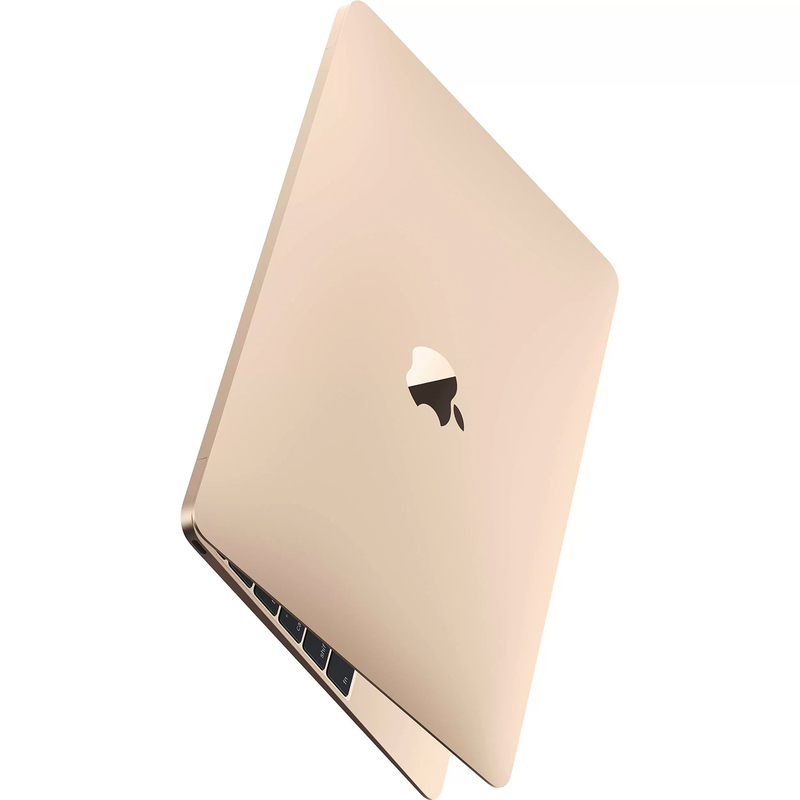 The new MacBook is equipped with new seventh-generation Intel Core M3, i5 and i7 processors and faster SSD storage. This delivers up to 20 per cent faster and more powerful performance, meaning your daily usage will run smoother than ever. This improved performance is still virtually silent, thanks to Apple’s fanless architecture. Running on just 5 watts of power, the laptop generates less heat which eliminates the need for a cooling fan. While your MacBook is working hard and delivering you a smooth, fast performance, you won’t hear a thing. With up to 10 hours of battery life, you can rely on your MacBook to see you through a complete day, and as the USB-C is widely available in portable power banks, you can easily charge on the go. The are some great portable chargers on the market that will fully charge your Laptop from around £50. This is invaluable to those working on the move. The MacBook has one cable port… yes, only one. 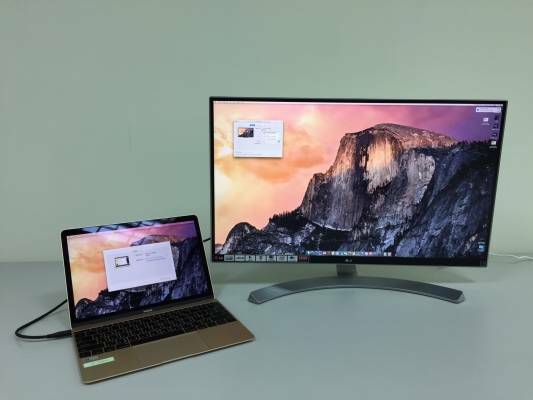 You can plug in an external display and utilise an extra screen easily – we have a selection of third-party 4K displays with USB-C. 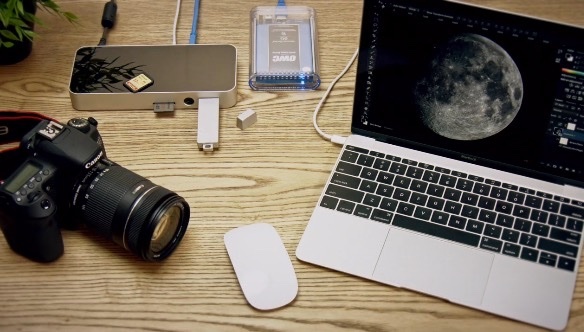 Most new external displays can also be used as a charger and docking station for your MacBook. You can also use this port to charge of course and it allows the design of the MacBook to appear sleek and neat. As Retina display has been around for a while now, it is no surprise the MacBook is sporting it, although it is not available on the MacBook Air. The colour accuracy and a screen that can scale to 1440-by-900 (Hi-DPI), the potential to edit photo and video is impressive. External displays will support 4k resolution. For all those creative professionals who are leasing, this is one to seriously consider! You can lease the MacBook from just £10.95 +VAT per week from HardSoft. Choose from Silver, Gold, Space Grey or Rose Gold. If you would like to get a no strings quote from our helpful sales team, give us a call on 0207 111 1643 or email sales@hardsoft.co.uk. With our Flexi- Lease, you can take advantage of 3 years Free warranty and technical support and upgrade options. Check out the benefits of leasing for your company and get in touch today!